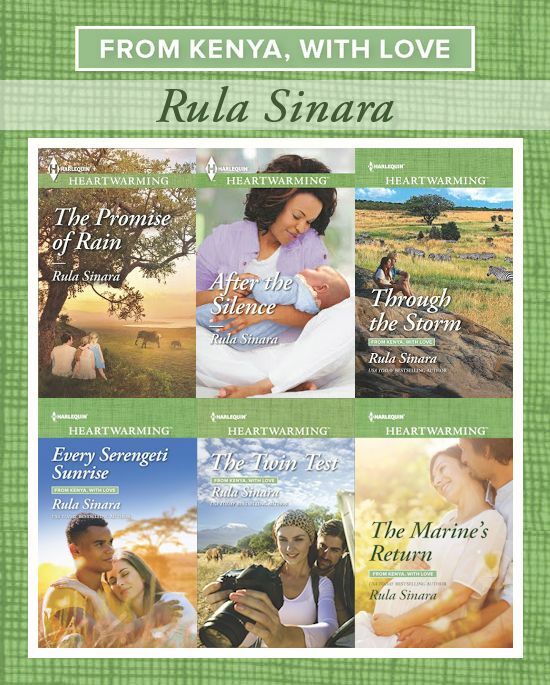 Rula Sinara’s From Kenya, with Love series has accomplished something that very few writers are able to achieve … introduced me to a land that I knew very little about, having usually avoided books with this setting, and made me not only fall in love with its vast beauty, but care deeply about its wildlife and people. 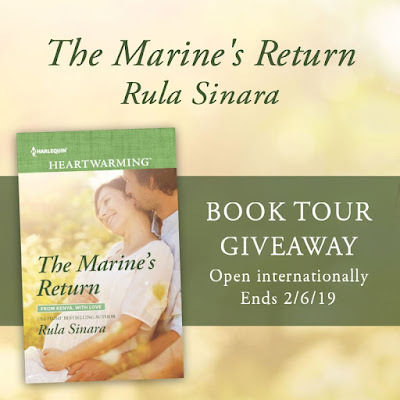 Compelling and emotionally gripping, The Marine’s Return concludes the epic six-book series that will live on in my memory and that I highly recommend. 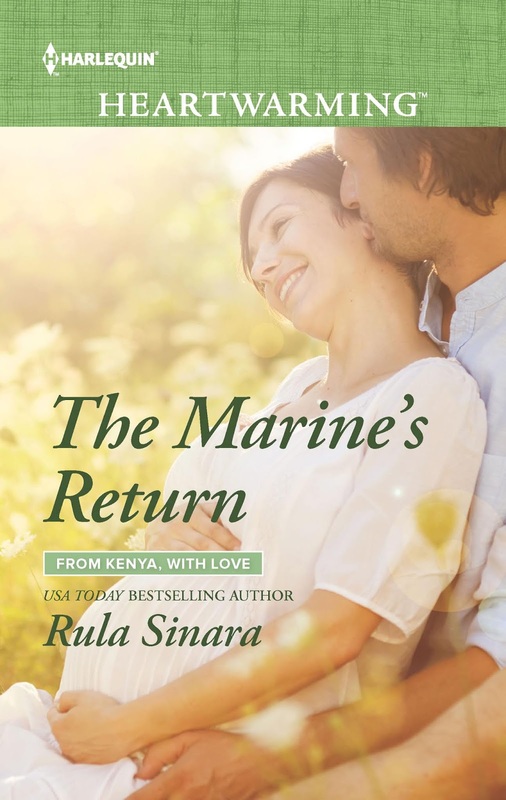 Romance fans will be delighted with Chad and Lexi’s story, but The Marine’s Return is so much more than a typical romance. 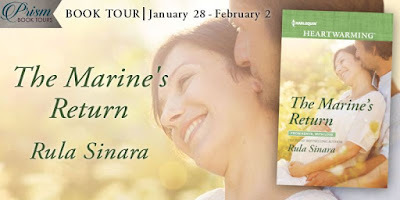 Sinara’s writing flows easily across the page, conveys rich and vivid characters and scenes, and captured me emotionally from the first page. This story focuses on two humanitarian efforts – providing much-needed medical services to outlying villages in the Serengeti and exposing the crime of poaching for the cruel, terroristic act that it is. 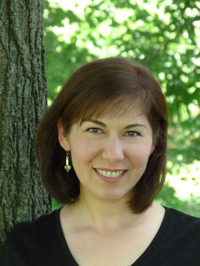 There’s also a complexity to the characters that makes them so real and appealing. In an effort to carry on her deceased husband’s legacy, Lexi secures a nursing job at Hope’s clinic. Chad, who lives with physical, mental, and emotional scars from Afghanistan – and also considers himself responsible for the death of Lexi’s husband – reluctantly agrees to help with clinic security until a wounded poacher is captured. I especially connected with Chad emotionally and gained a deeper appreciation for our wounded heroes. I really can’t say enough about this story and the whole series. Each story can stand alone, but reading the series in order provides greater continuity for characters and needs of the region. 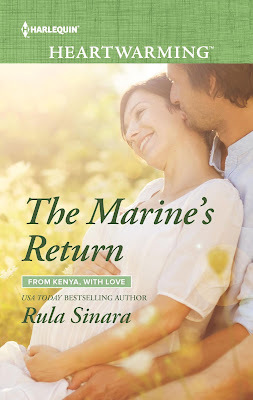 While I hate to leave Kenya, I greatly anticipate Sinara’s new Turtleback Beach series that begins in June of 2019. I'm interested in learning more about Kenya, and the story sounds intriguing. I'm looking forward to reading it. Thanks so much for the wonderful review and thanks to everyone for the kind comments! :) I really loved writing this series.